Two sources from the Brazilian Marine Material and Programs (MB) sectors say that the Force has not yet received any indication that the Royal Navy will even anticipate the dropping of two Type 23 frigates (class "Duke" ") As a means of securing resources to keep Albion Class dockers in operation, as speculated by the London press. But to the Naval Power that investigates the subject, draws attention the great amount of information "unofficial" that MB already met on the costs of absorption of these ships. It should also be noted that the Royal Navy will not waive the requirement that buyers of Type 23 frigates carry out the modernization they require on British territory. As a result of this, an official friend of this blog estimated: the total cost of acquisition of the two (modernized) vessels can jump from 80 to 160 million pounds (approximately 846.8 million Reais). Originally designed for a 30-year life with upgrades, all 13 frigates are undergoing life extension (LIFEX) reforms and an important component of these upgrades is the PGMU (Power Generation Machinery Upgrade) to replace the four diesel generator sets of ships. 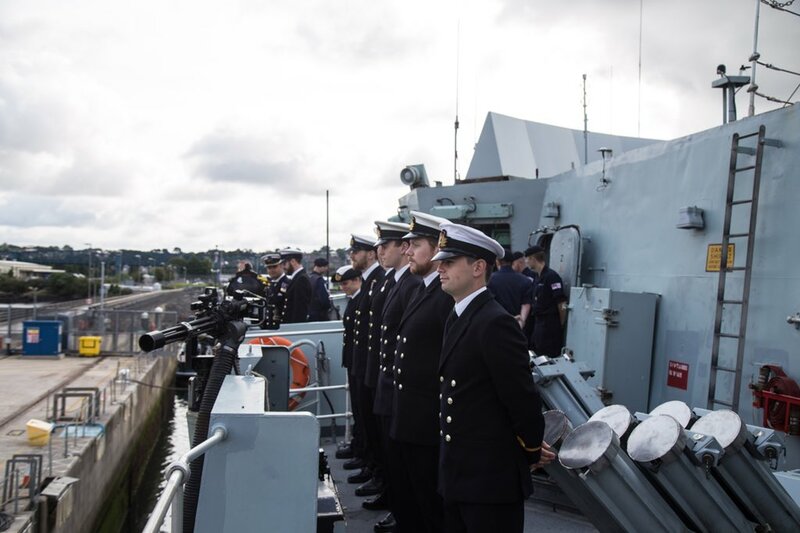 The Type 23 LIFEX program is being run by the Surface Ship Support Alliance (a partnership between MoD, Babcock and BAE Systems) and started in June 2015, when HMS Argyll was taken to Devonport. 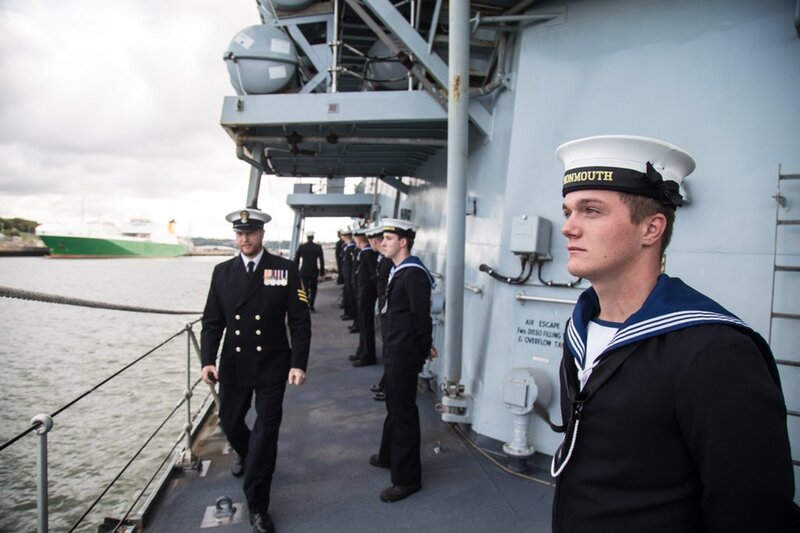 By June 2018, HMS Argyll, Westminster, Montrose, Northumberland and Kent had already completed the LIFEX reforms. The most obvious external change is the installation of the CAAM Sea Ceptor missile system to replace the old Sea Wolf GWS-26, but the adjustments also include major changes in equipment, combat system, cold water systems and work to extend the life span of the hull and superstructure. Unfortunately, the first ships to be submitted to LIFEX have not received the new engines and will have to wait until the next major refurbishment. 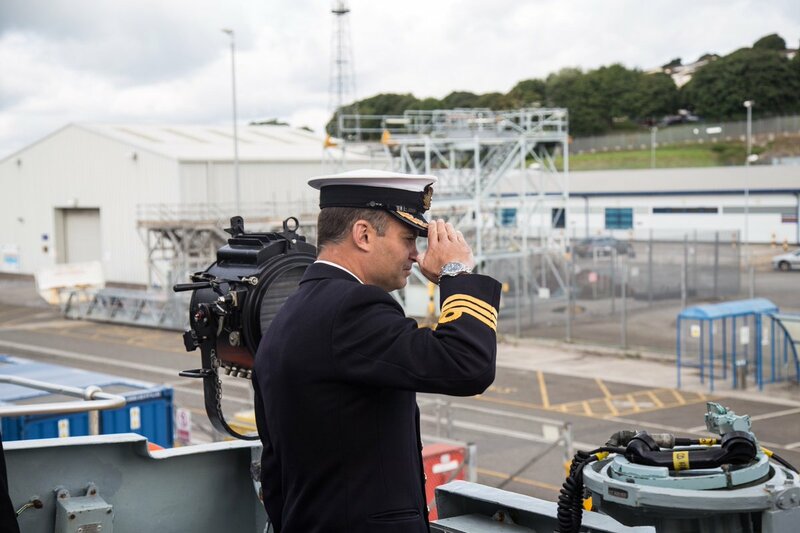 HMS Richmond will be the first vessel to be upgraded for machinery and is currently halfway to its retirement in Devonport. 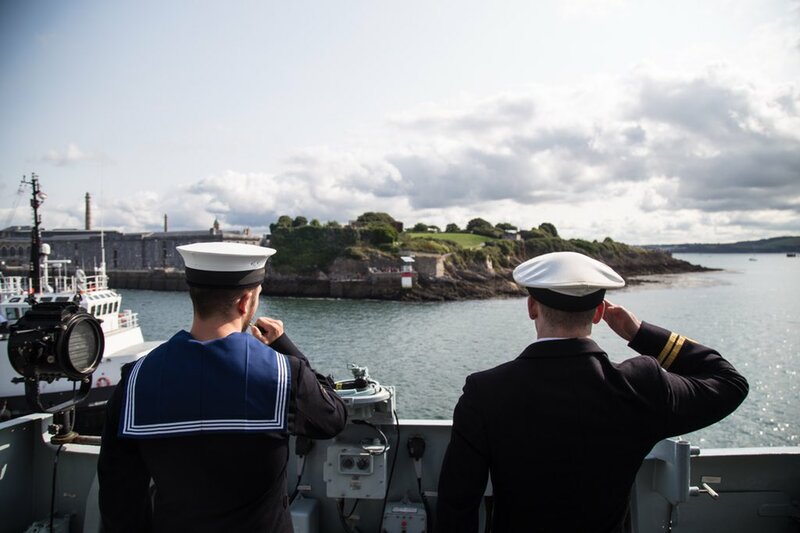 The work also began at LIFEX of HMS Portland and HMS Lancaster in Devonport. The LIFEX upgrade of each Type 23 is costing at least £ 35 million per ship, not including the PGMU. Totaling around £ 600 million for this work on the frigate fleet, this is a much needed and worthwhile investment, but could have been greatly reduced had type 26 frigates been ordered earlier. The older Type 23 HMS Argyll and HMS Lancaster should not receive the PGMU. Assuming they survive future defense cuts, they will have to continue with their Paxman diesel engines until they leave service in 2023 and 2024, respectively. The project is set to be completed in 2024, when the last of the other 11 ships receive their new engines. 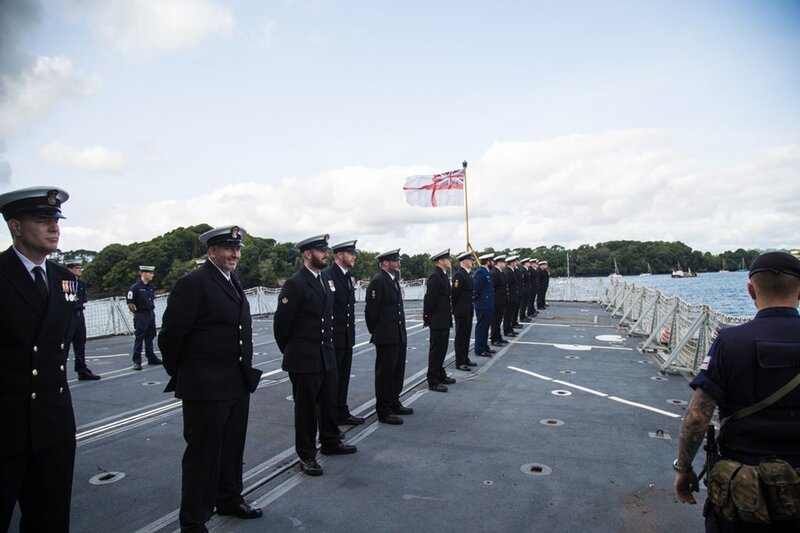 The first of the new MTU 12V 4000 M53B diesel generators was delivered to the Devonport Naval Base in late 2016 for installation at HMS Richmond. The new generator sets are manufactured in Germany by MTU (a subsidiary of Rolls-Royce's Land & Sea division) and supply 1.65 MW each. This will give the ship an approximately 20% increase in power available for onboard guns, sensors and electronic components, as well as for cruise propulsion. The old Paxman Valenta 12 RP2000CZ diesel project dates back to the 1960s and is becoming more and more maintenance intensive. They are rated at 1.3MW but have output power as low as 1MW in hot climates. The new diesel engines work best under hot conditions and will drastically reduce maintenance time and cost of operation. The MTU 4000 generator sets include sophisticated noise reduction and shock resistance measures and are exceptionally reliable. The PGMU project presented a considerable engineering challenge as the new equipment had to adapt to existing structural and compartment constraints and integrated with the vessel's services and systems. The PGMU project comprises 5 separate components (which DE & S bid on 'lots'); diesel generators, power conversion equipment, electrical switchboards, the machine control and surveillance system (MCAS) and integration work. A £ 68 million contract was signed by DE & S with MTU to supply the 48 generator sets in April 2015. 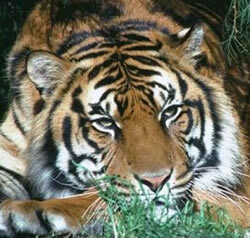 The contract includes a complete package of logistics, spare parts and initial training. 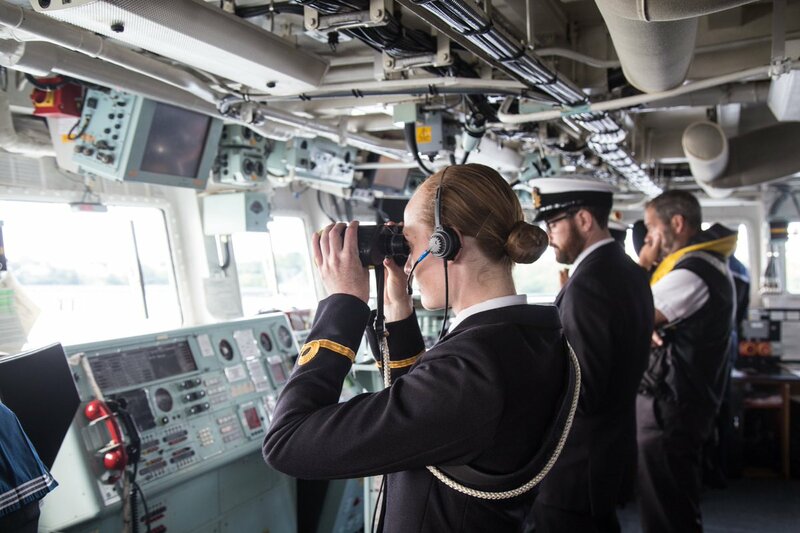 HMS Sultan, RN's mechanical engineering training facility, will receive electronic equipment and manuals so it can provide relevant training for MEs that meet the updated Type 23. 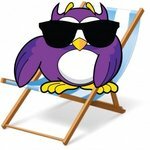 Hitzinger UK won a £ 12 million contract for voltage converters and Rolls-Royce signed a £ 18 million contract in January 2016 to deliver the updated MCAS. 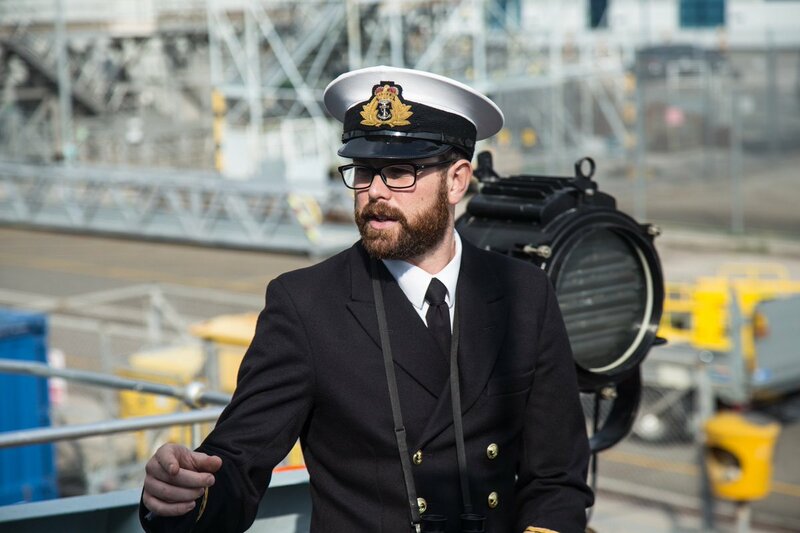 Babcock Marine and Technology is responsible for integrating the new systems onboard ships and has been awarded a £ 3.6 million contract for this task. The project includes the installation of 600 meters of new pipes on each ship along with more than 8 km of new cables. The Upper Auxiliary Machinery Room (UAMR) and Advanced Auxiliary Machinery Rooms (FAMR) need to be almost completely removed and new foundations of machines and outlets and pickling must be installed. The new Type 23 propulsion package will not only improve ship availability, fuel efficiency and available power but will also provide a useful experience for the RN since similar MTU generator sets are being fitted with future Type frigates 26. 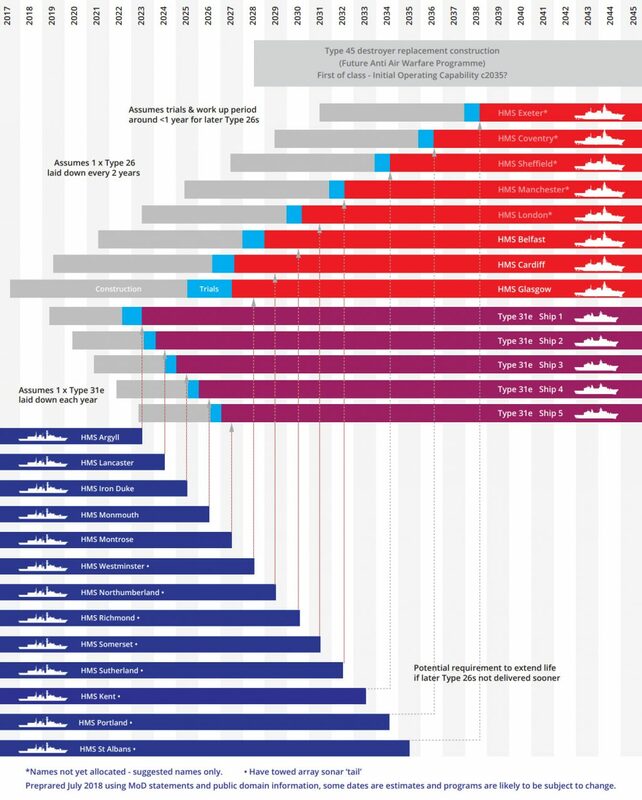 Although the Type 26 is an evolution of the Type 23 propulsion system, there are significant differences. Type 23 used a CODLAG - Combined Diesel Electrical AND Gas Turbine arrangement. Both the engines that drive the generator sets and Spey gas turbines need to be online to reach full speed. The Type 26 is CODELOG - CODELOG Combined Diesel-Electric OR Gas Turbine. The single MT-30 gas turbine alone is sufficient to drive the ship at full speed without the need for the engines, and in that way the generator sets can supply power purely to the electrical needs of the ships. Although the Type 23 Spey gas turbines do not, the new MTU propulsion system meets the requirements of the International Maritime Organization (IMO) III emission directive. 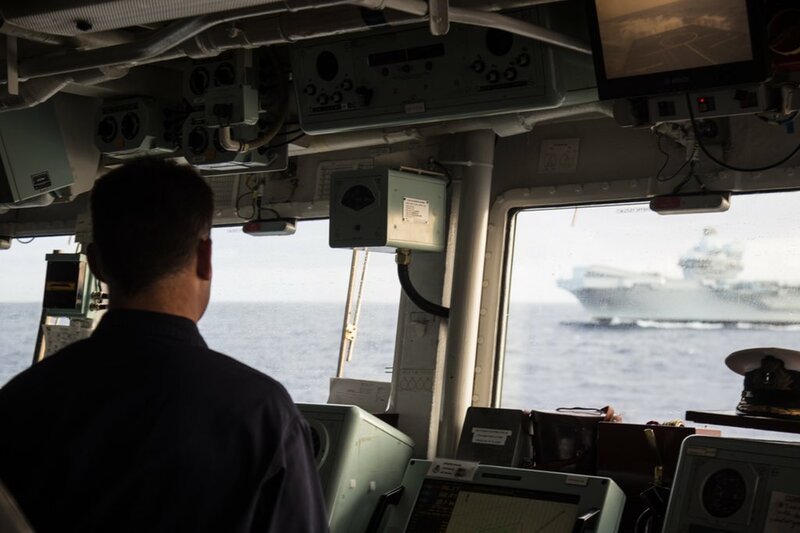 Compliance with civilian emissions standards is a challenge to the unique requirements of warships, but it is obviously desirable to maximize fuel efficiency and reduce emissions. The RN has used several new hydrodynamic features to minimize drag on its hulls. These were incorporated into the design phase of modern Type 45 ships, aircraft carriers and Type 26, but the older Type 23 ships underwent some service modifications including self-polishing antifouling coatings on the hull and propeller blades, stern wedges and better propeller designs. It is intended that Type 26 frigates will be fully compliant with IMO's MARPOL (NOx Nitrogen Oxide) regulations and will be equipped with a SCR (Selective Catalytic Reduction) system along with the efficient MTU4000 20V diesel generators and MT Gas Turbines -30. See the chart below (click on the image to enlarge) the schedule for the new Type 26 / Type 31 and Type 23 deactivation. A very high quality piece from Brasil. A new piece to the jigsaw puzzle: An AAW version (of T26 hull?) would commence construction as soon as 1 1/2 years after the first of class entering RN service. The article implies that the T23 LEP included also a new CMS; was that dropped at the implementation stage? And the good news? Requiring the refitting to be done on British soil actually makes for some good export trade (the resale price of the hulls themselves being modest). I've seen that before and also in the context that the Type 31 Leander would have a new version of the Bae CMS that would be trialed in the Type 23's. It is progressing, as far as i know. 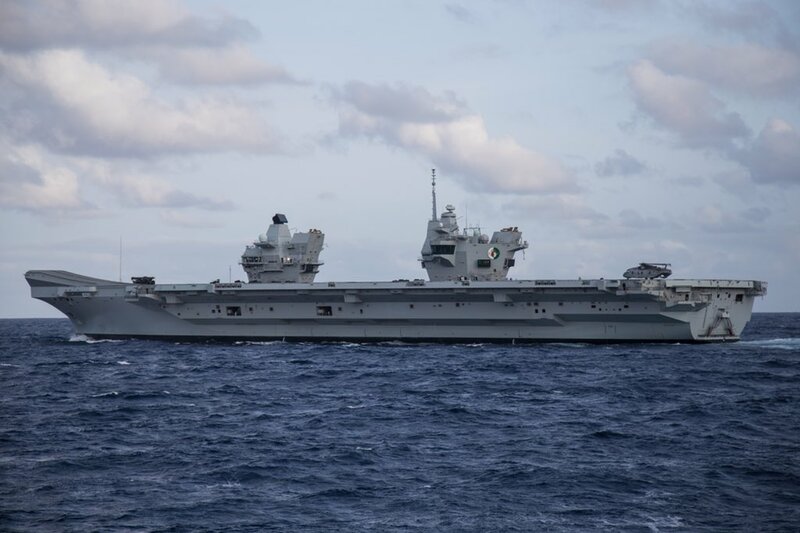 It is a DNA2 product on the new Common Shared Infrastructure that began to enter use in 2014, first on HMS Ocean as part of her last refit then on HMS Montrose and the ships going into refit after that, which, if i haven't missed passages, would be Westminster, Argyll, Northumberland, Kent. Currently in refit are, if i'm not mistaken, Lancaster, Richmond and Portland. HMS Richmond, if i've kept track right, is the first to get the new MTU engines. As not all parts of the LEP have started at the same time, as they are really several connected but separated programmes, the exact fit varies. 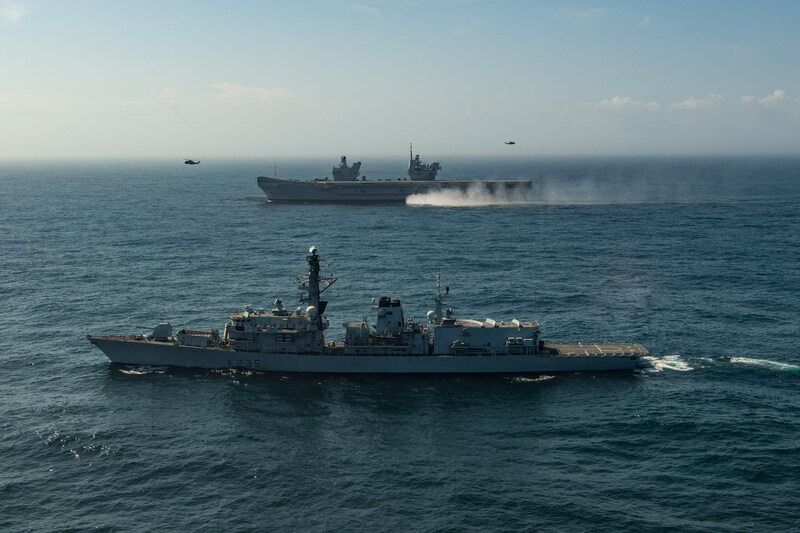 HMS MONMOUTH escorting HMS QUEEN ELIZABETH during her F-35 trials. Really difficult to justify more assets when today's utilisation is low. We are not in a war, though. = also, a stealth way of buying the kit for the new ships (so the quoted prices can, for a change, come in between the goal poasts), when the book values for transfer afford a nice "discount"
Anyway, before we were forced into the upgrades that make no economical sense, tthe T23s were hitting the v respectable 85% availability numbers. I think the two ships with "*" is not much different from currently planned Leander (T31e). If totally equipped (as Ron5-san has proposed), "Super Leander" may be not much different from Formidable class. Looks like there are places T31 can live. donald_of_tokyo wrote: "Super Leander" may be not much different from Formidable class. So will get CEC then, unlike T45/ T23? Or the QEC, for that matter? shark bait wrote: Really difficult to justify more assets when today's utilisation is low. Most folks would conclude the RN doesn't have enough sailors. The world didn't become a more peaceful place in the last decade. I see that the Frenchies are announcing their CEC. Moi aussi. Ron5 wrote: THAT's your conclusion?? A recognition the RN has big problems to fix before it can consider expansion. 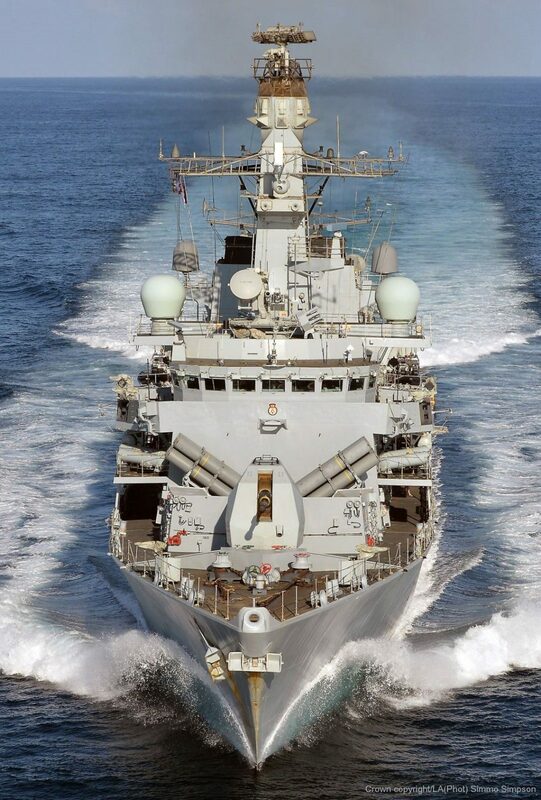 HMS Montrose, to be forward deployed for 3 years in Bahrain. It is the last of the 5 T23GP (= without S2087 sonar), has updated CAMM, Artisan, while MTU diesel gen will come later. The crew rotation, will it work well or not is the key points. donald_of_tokyo wrote: The crew rotation, will it work well or not is the key points. I read that crew rotation will be around 4-6 months. This will be great for personnel retention, rather than 9 months away, they will do four and get to come home to see their families with some certainty. I am interested to know how the far east deployments will proceed, it seems like we will still be deploying a ship there on a rotation with 9 month deployments. Perhaps another opportunity for crew rotation, or basing a second ship out there? A second in Bahrain or Singapore. 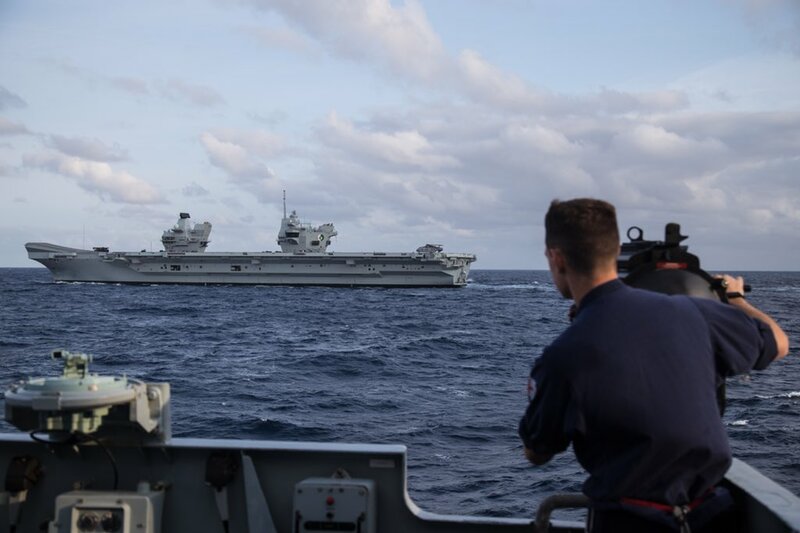 Very pleased to see the RN revisiting forward basing and crew rotation, I've been calling for some more novel deployment solutions for a while now. If they can make it work for the mine clearance fleet, they can make it work for the frigate fleet, increasing availability whilst improving welfare. 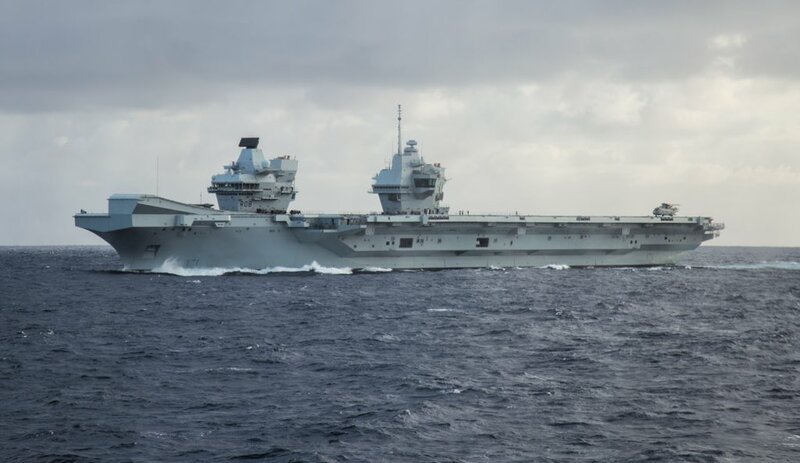 Will be great to watch and see how it works out, hopefully the RN can make a success of it, opening up the possibilities of other foward bases. Like @benny14 suggests, Singapore would be a great place to sustain the far east deployments. Apologies a small off topic question: how many Frigates would it take to keep two forward based deployments going? Assuming a 3yr forward deployment and 18 months tranversing to and from the U.K. and a refit - I’d see the minimum as 3 ships. 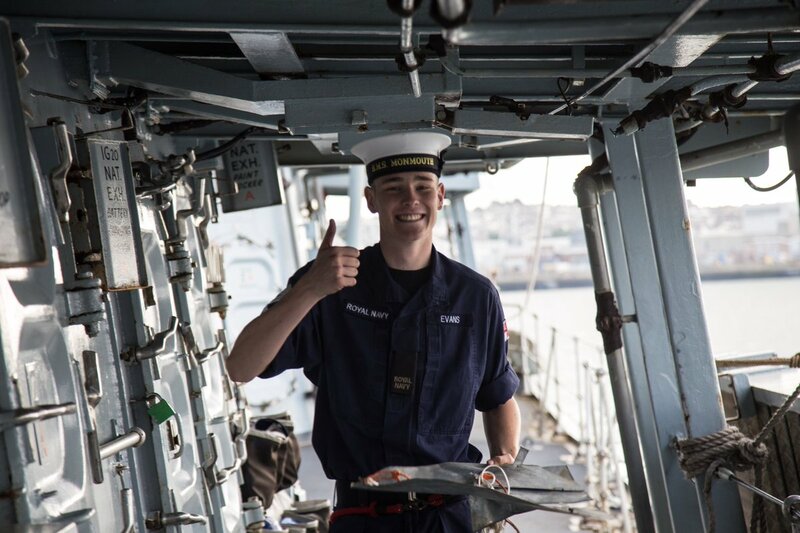 At present the big improvement is to crew welfare, enabling long term far east deployments without 9 months away from home. That is without doubt a step in the right direction. Repulse wrote: how many Frigates would it take to keep two forward based deployments going? [...] - I’d see the minimum as 3 ships. A good Q&A... so three, then? But only with basing available. With some rotation, rather than to& fro all the way to the UK (cfr. the paint jobs + a bit more that HMS Clyde kept going to Simonstown for). "The additional two will enable us to take a longer term view of how we replace HMS Clyde, which is a slightly larger helicopter-capable version of the OPV. We are looking at a number of ways in which we might use the fifth one. So, the fourth one is clearly a Clyde replacement. The fifth one can either be added into the mix for the three that operate in UK waters or it could be forward-deployed somewhere else in the world, or it could become a second vessel operating in the South Atlantic"
Repulse wrote: Apologies a small off topic question: how many Frigates would it take to keep two forward based deployments going? Assuming a 3yr forward deployment and 18 months tranversing to and from the U.K. and a refit - I’d see the minimum as 3 ships. Crew needs training, ship needs maintenance, so nothing changes other than "trip back and forth". As "trip" looks like needing 1 months (including many port visits and training), the "9 month deployment" looks like 7 months on station (78%), 2 months on trip (22%). With forward deployed, the trip will be reduced to "2 months in 3 years = 36months" (5.5%). So the efficiency can improve by 21% (94.5/78 =1.21). If the current need is 4 ships for 1 deployment, it can be reduced to 3.3 ships. If now 3, will be 2.5. #Ship swapping itself needs some training. But here I regard it just replaced the "4 weeks mid break".